Wal-Mart Stores Inc (NYSE:WMT) is planning to increase its minimum wage and give its employees a bonus. The Walmart minimum wage for hourly employees is going up to $11. This change will go into effect for the pay cycle on Feb. 17, 2018. The comapny notes that this will add $300 million to its payment plans for 2018. Walmart also says that it will be giving its employees a one-time bonus. This bonus is worth up to $1,000 and depends on how long the associate has been with the company. 20 years is the time needed to get the maximum bonus. This bonus will be available for all hourly associates. The retailer will determine eligibility this month and make payments soon after. Walmart notes that the one-time bonus for employees will add an additional $400 million to its payments to associates for its current fiscal year. This will show up during its fourth quarter earnings report for the year, which ends on Jan. 31, 2018. Another change in benefits that Walmart has announced for its associates is extended maternity and paternity leave. Full-time associates will be eligible for 10 weeks of maternity leave and six weeks of paternity leave. Salaried workers will also get six weeks of paternity leave. Walmart also announced it is adding a special program for associates looking to adopt children. This plan allows eligible associates $5,000 to help them with the costs of adopting a child. This benefit will be available to both full-time and salaried employees. Walmart says that this is only the start of its plans to offer more benefits to its employees. It also points out that these new benefits are a result of the recently-passed GOP tax plan. 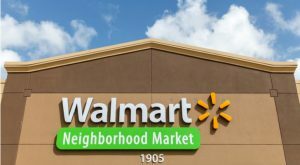 Article printed from InvestorPlace Media, https://investorplace.com/2018/01/walmart-minimum-wage-increasing/.